S and J Signs is located in Philadelphia! S and J has been working in the sign industry for over 20 years. In that time we have developed a reputation for providing first-class professionalism and quality at unbeatable prices. Helping businesses with all designs, repairs & installations! 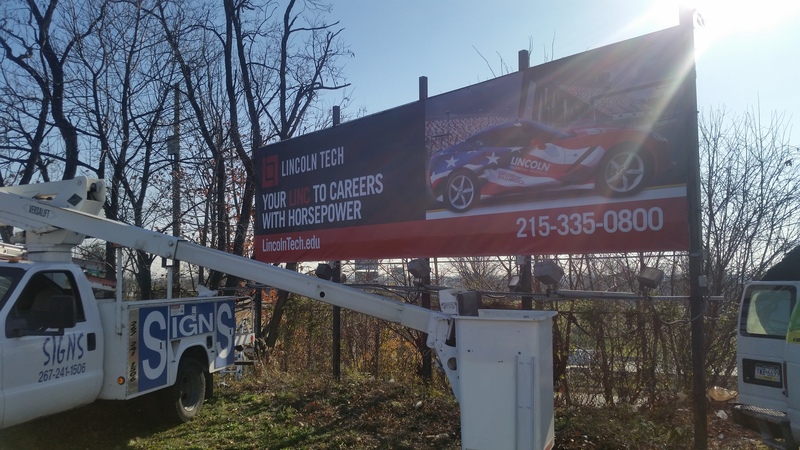 S and J Signs is serving the greater Philadelphia PA, and surrounding areas. It is our belief that “A Business Without A Sign Is Not A Business.” Our professional staff at S and J Signs are ready to help you Design Custom Graphics from Concept to Completion. We use durable materials and state-of-the-art digital printing equipment and design services to make the best sign products that are designed to last. We make all types of Business Signs, Custom Signs, Commercial Signs, Channel Letters, Interior Signs, Metal Signs, LED Signs. We also do repairs and installations!! Another thing that sets S and J Signs apart is our commitment to transparency and communication. We like to keep our clients informed at every step of the way and offer a friendly customer service that will always be available. We offer all of our clients a completely free price quote and consultation, so if you’re thinking about working with us give us a call or drop us an email and we’ll start discussing your options.